This is the chelation information that can totally change your life! 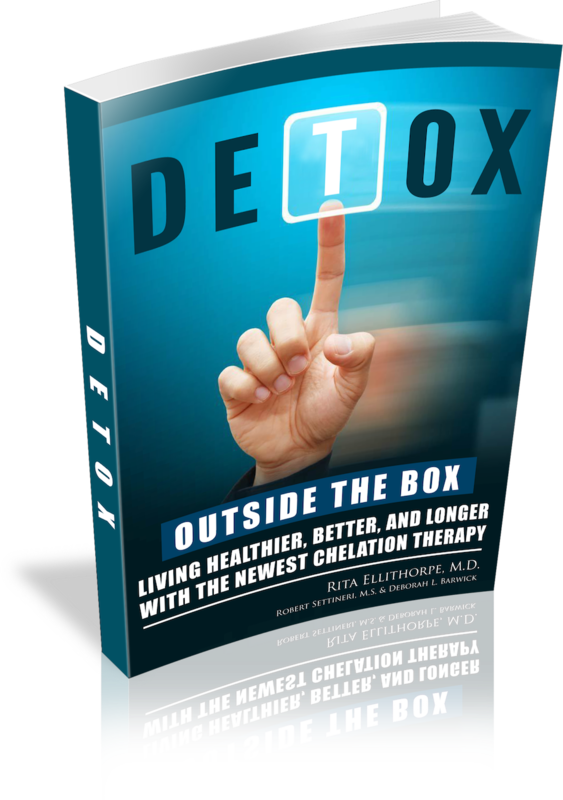 A thought provoking insight about detoxification, heavy metal detox, EDTA chelation therapy and EDTA suppositories, delves into why so many Americans are faced with the horrible reality of having a degenerative disease. Rita Ellithorpe MD, a renowned integrative medicine specialist has been on the front lines for over 20 years helping people overcome the ravages of disease. Most doctors today are trained only to treat symptoms and many times leaving the patient worse off and chained to a lifetime of prescription drugs, but Dr. Ellithorpe's proven medical approach deals with the exact cause of what is behind your disease. If you are faced with a degenerative condition, or if you just want to achieve a better level of health, you will find the answers you are searching for right here.